In a radical change of policy, the Italian government has just appointed twenty new directors for museums and archaeological sites from Milan to Paestum. Among them are ten women. Seven are non-Italians, such as German art historian Eike Schmidt, who will head the Uffizi Galleries in Florence. Not everyone is thrilled at the sweep of this new cultural broom. ROME – In a radical change of policy, the Italian government has just appointed twenty new directors for museums and archaeological sites from Milan to Paestum. The selection, announced Aug. 18, includes seven foreigners. Topping the list is German art historian Eike Schmidt, 47, who takes over directing the Uffizi Galleries in Florence, with 2 million visitors every year. But not everyone is thrilled at the sweep of this new cultural broom. The selections were made by a committee headed by Paolo Baratta. Interviewed, Baratta said that, “Outside of Italy an articulated career exists, but here in Italy either you’re a director or a custodian.” Among his committee’s criteria for selecting which museums was their role in research. Money also matters: “Outside of Italy museum directors can also do fund-raising,” he pointed out. Visitors to Italian museums have inceased this year over last, to judge by the first quarter, by almost 10%, with income surging by almost 13% over the same period. Becoming the first non-Italian director of the Uffizi since the museum was opened in 1769, Eike Schmidt leaves the Minneapolis Institute of Art, where he has been curator and department director. He has also worked at the J. Paul Getty Museum in Los Angeles, the National Gallery in Washington, D.C., and at Sotheby’s auction house in London. 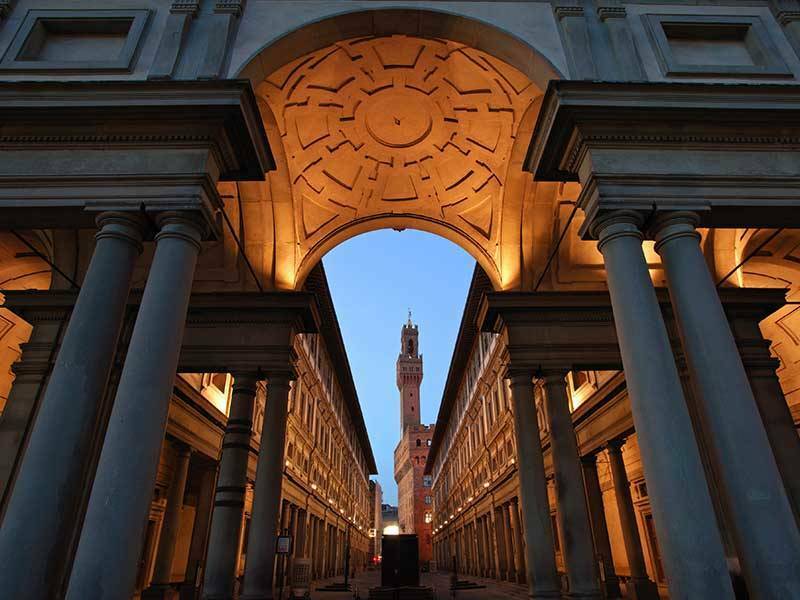 Another appointee with long experience is Canadian-born James Bradburne, 59, whose nine successful years as director of Palazzo Strozzi in Florence have made him familiar among Italians. Bradburne will head the Brera Pinacoteca in Milan. Peter Aufreiter, 40, Austrian and a graduate in art history from Vienna, takes over the Galleria delle Marche at Urbino. Among the other non-Italians is art historian Sylvain Bellenger of France, who leaves the Chicago Art Institute to direct the Capodimonte Museum in Naples. Peter Assmann, 61, who is Austrian, takes over the Palazzo Ducale at Mantua; for ten years he was president of the Association of Austrian Museums. The youngest, at 34, is German archaeologist Gabriel Zuchtriegel, who will head the important classical site of Paestum; with broad international experience for his age, he has recently been teaching Greco-Roman art at the University of Basilicata. German-born Cecilie Hollberg, 48, comes from the Stadtisches Museum of Brunswick, which she directed, and will take over the Gallery of the Accademia in Florence. The Italian Paolo Giulierini, archeologist, 46, goes to the National Archeological Museum in Naples. Carmelo Malacrino, 44, archaeologist and architect born in Catanzaro, assumes direction of the National Archeological Museum at Reggio Calabria. Siena-born Marco Pierini, 49, will direct the National Gallery of Umbria in Perugia. Mauro Felicori, 63, originally from Bologna, assumes direction of the Reggia at Caserta. In addition to Hollberg, the other female nominees are Anna Coliva, 62, just renewed as director of the Borghese Gallery, which she has headed, with kudos, since 2006; she is the sole Culture Ministry appointee. From Cagliari, Cristiana Collu, 46, comes to the National Gallery of Modern Art in Rome from museums in Trento and Nuoro. Paola Marini, 63, passes from directing Verona’s Civic Art Museums to the Accademia Galleries in Venice. Martina Bagnoli, 51, had worked for the National Gallery in Washington, D.C., and in Baltimore, and will head the Galleria Estense in Modena. Paola D’Agostino, 43, leaves the Yale University Art Gallery to head the Bargello Museum in Florence. Art historian Martina Bagnoli, 51, goes from Bolzano to the Galleria Estense. The new director of the National Gallery of Ancient Art in Rome is Flaminia Gennari Santori, 47, art historian. At 39 the second youngest, Eva Degl’Innocenti will direct the National Archaeological Museum at Taranto; she comes to Taranto from the Breton Museum. Serena Bertolucci, 48 and an art historian born at Camogli, will direct the Palazzo Reale of Genoa. The new director of the Polo Reale of Turin is Enrica Pagella, 58, born at Ivrea.